Self-driving cars have a tendency to become more adorable as big tech companies iterate their design, and Baidu’s new modified Chery eQ all-electric test vehicle is no exception. It resembles Google’s updated self-driving car, the panda-like EV, but it’s got more cabin room and still uses an existing vehicle platform for the basic car body and drivetrain, fitted with a sensor array up top for autonomous features. Baidu had been using a fleet of modified 3-series vehicles from BMW, with tests expanding to the U.S. earlier this year. The firm also recently co-invested in LiDAR-maker Velodyne with Ford, with the two companies putting a combined $150 million into helping the California supplier make its sensor components more affordable for mass market production. 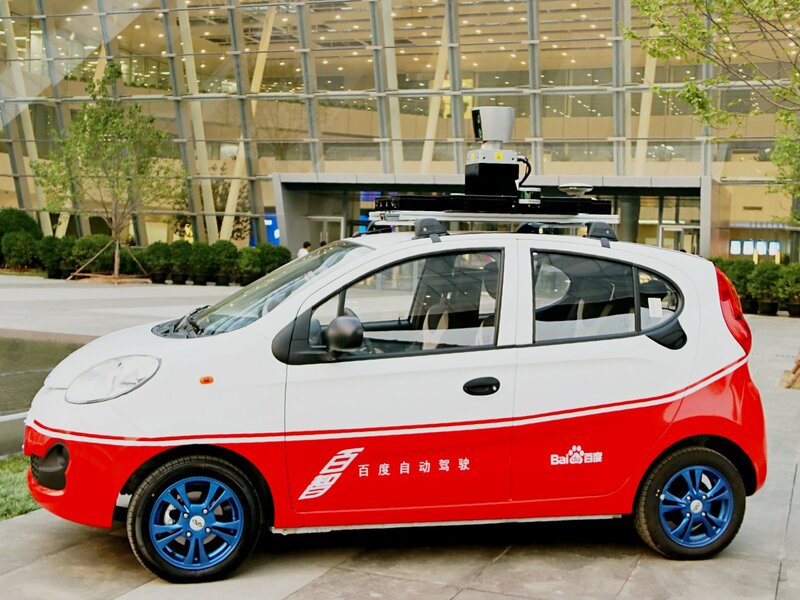 The new driverless cars from Baidu are designed for use in China, where it plans to release them across the country with the aim of strategically building out their mapping tech, including collecting data about local traffic infrastructure. Long-term, Baidu is looking to put together a self-driving fleet of cars to buy used as a shared public transportation option, which it aims to actually field for public use by 2018, in limited area on a standard loop in China.